Madam Chebës Spectacle in February! As the holiday season has begun to show itself among us, Madam Chebës is already in preparation for her next collection to take hold of the crowd! Hope you are all excited for the upcoming events. 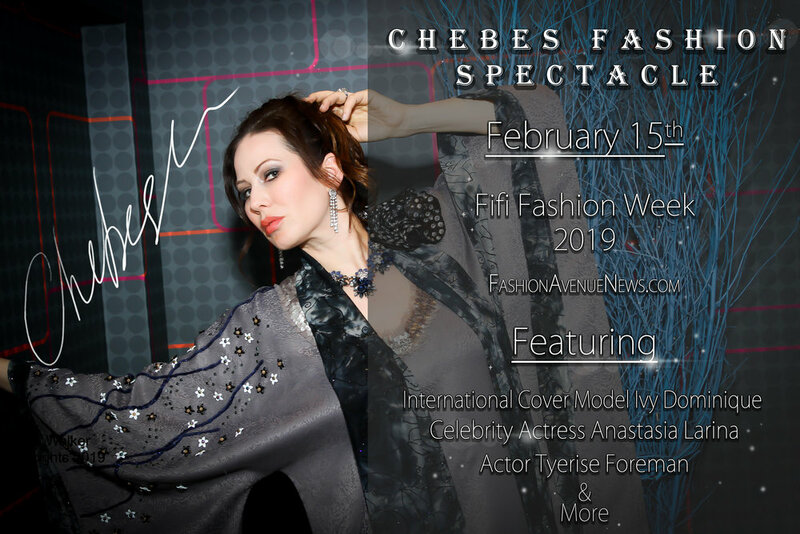 You can catch Madam Chebës amazing fashion spectacle on February 15th in NYC. With all the glamour and couture as ever. Make sure to bring a sparkle of your imagination with you! This show features guest appearances from international actress, choreographer and model Anastasia Larina who will model one of Chebës magnificent couture pieces, as well as from actor Tyerise Foreman who will be modeling exclusive Chebës Couture menswear. The excitement grows further as the months draw nearer, but theres still much work to be done. Dont forget to take a glance at the new store featuring Chebës Couture mens collection shirts, and we cant wait to see you at the event!